Was this wrong? 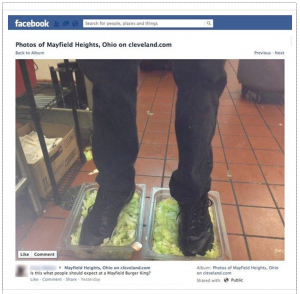 Burger King employee fired after posting lettuce feet on Facebook So I started writing this blog post on social media before this very intelligent Burger King employee was nice enough to provide me with this very apropos photo. What he did to the lettuce (I think it was a he…can’t really tell???) was of course atrocious but his next move of posting the photo on Facebook just proved his brilliance. Social media has now become a friend and foe when it comes to managing employee relations, and in many cases conducting investigations. While a PR nightmare for Burger King, at least they had pretty significant evidence, were able to swiftly investigate and take action against the involved employees (i.e., fire them) . But the incident reminds us of how technology – and social media specifically- is evolving at an extremely rapid pace. Remember when we used to inquire “do you have a cell phone?” instead of “what’s your cell number?” Or when we’d ask “are you on the web?” versus telling someone we’d find them on Facebook? Because of the social aspect of social media, people connect with family, friends…and coworkers. 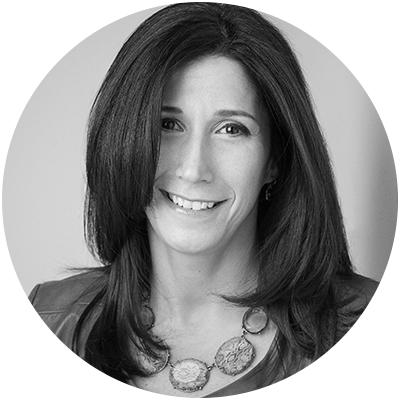 This brings us to the slippery slope of social media in the workplace – and especially in workplace investigations. Here are a few areas to consider. Many people post public information about themselves on various social networks like Facebook and Twitter. This means that they haven’t restricted the information to a specific audience and instead allow anyone and everyone to view it. Using public information in workplace investigations has become a much more common practice, as public information has no guarantee of privacy. Mr. Burger King learned this lesson the hard way. Private information – or what a Facebook or Twitter user posts only for their permitted friends or followers – can be a little more tricky to use when human resources is investigating an issue. In Zimmerman versus Weis Markets, a judge ordered Zimmerman to allow Weis Markets access to his accounts, because some of his public information suggested that his private information may disprove his workplace injury claims. This case is often relied upon for similar cases. Other courts have ordered access to private information on social media networks in cases that involved various types of harassment. Not every workplace investigation may rise to the level of needing access to private information, however. If you’re going to request court-ordered access, you’ll need to carefully build the case for needing that access. Hmmm…would Burger King have gone that far if this was a private post? Keep in mind that people may act very differently when in the workplace versus at home. This means that it’s extremely important for any information gleaned from social media sites during investigations be weighed for severity and in context. One post taken out of context may not mean a thing – but a pattern of similar posts or information can add significantly to a case. Although social media will soon become a component in many workplace investigations, it will seldom be the only or even the primary piece of evidence weighed. As in any investigation, it’s important to the information you gather is well-rounded and incorporates findings from a variety of sources. While the legal precedent around the use of social media in employee relations/investigations continues to evolve, one thing is certain: there will be plenty of other employee indiscretions in the news on which to comment. Until then you might want to hold the lettuce.